In his August 21 speech on Afghanistan, President Trump maintained his stance of opposing nation-building. But implementing the strategy he announced will require a continued American commitment to nation-building. As did President Obama's Afghanistan policy, the newly refreshed approach hinges on the U.S. successfully developing Afghan government capabilities to fight the Taliban insurgency, provide for the country's security over the long-haul, and serve as a counter-terrorism partner for the U.S. Indeed, the main purpose of the anticipated mini-surge of several thousand troops is to return to somewhat more extensive and more forward-deployed training and advising of Afghan forces. The real challenge, however, is not teaching Afghans to shoot and maneuver and call in airstrikes. It is creating security institutions that are well led, reasonably corruption free, and have self-sustaining systems for logistics and management. Those institutional attributes cannot be manufactured simply through technical advisory efforts; they are part of the broader landscape of governance and the uses and abuses of power in Afghanistan. Changing that landscape is nation-building. The economic angle of getting Afghanistan to a place where it can provide for its own security presents a further challenge. Currently, the Afghan government spends about a quarter of its resources on security — a huge proportion by international standards — but that contribution covers only about a tenth of the costs of the government's security forces. The U.S. and other foreign donors cover the rest. Without a lot of help in setting a foundation for economic growth — another aspect of nation-building — the Afghans will be hard-pressed to close that gap. Nation-building in Afghanistan under his two predecessors was not, as President Trump suggested, conducted for the purpose of re-making the country “in our own image.” It was a pillar of a counter-insurgency strategy — the idea being that the Afghan government must have the political and institutional wherewithal to win and maintain the population's support. Security capabilities were to be nested within a broader framework of good governance. 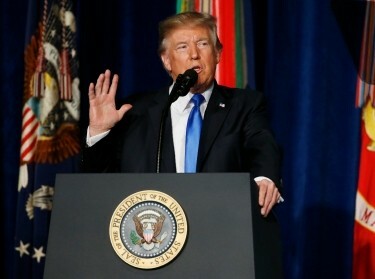 President Trump's speech echoed the same approach, including in his reference to an “integrated” U.S. military, economic, and diplomatic strategy. 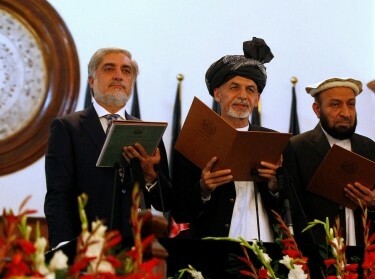 The principal new element of Afghanistan policy the President introduced is a shift to an open-ended “conditions”-based military presence and the eschewal of pre-announced timetables for scaling up and down that presence, though he did not specify the conditions. In the end, the last Administration's policy turned out to be conditions-based, too. The timetable set for completing a withdrawal was jettisoned because the security conditions (too much risk of terrorist group resurgence) and political conditions (too much chronic fragility) were judged not suitable for leaving the Afghans on their own. Whether it is labeled “nation-building” or simply “stabilizing” or something else, modifying the conditions on the ground is required. 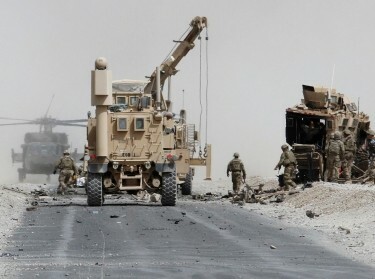 Whether it is labeled “nation-building” or simply “stabilizing” or something else, modifying the conditions on the ground is required if the level and duration of the American commitment to Afghanistan is going to be tied to those conditions. In his nod to U.S. expectations of “real reforms, real progress, and real results” from Afghans on the “military, political, and economic” fronts, President Trump acknowledged this. And in saying that U.S. support is not a “blank check” he implied the use of aid conditionality as the main tool for modifying conditions. Using that tool — as, in fact, the U.S. already has been doing for some years in Afghanistan — has two severe limitations. First, the premise of providing U.S. military and financial support is that it is necessary to protect our own national security interests; the more we cut back, therefore, the more we are putting our own interests at risk. Second, conditioning support to the government generally does not change the behavior of those officials who are part of the problem. Afghan President Ashraf Ghani, for instance, appears to have the will to reduce corruption, but he has limited capability to do so in the face of enormous obstacles; he doesn't need to be incentivized. On the other hand, threatening to cut off funding to government ministries is not likely to motivate those who are, essentially, stealing from public coffers. The basic conundrum of policy in Afghanistan remains what it has been since the insurgency arose in the years following the U.S. invasion and since American leaders decided to make the counter-insurgency our fight: The U.S. cannot only battle its way to establishing enduring stability in Afghanistan. It has pursued a strategy that depends upon political stability, government popularity, and economic development in a country that is still one of the world's poorest and least institutionalized. 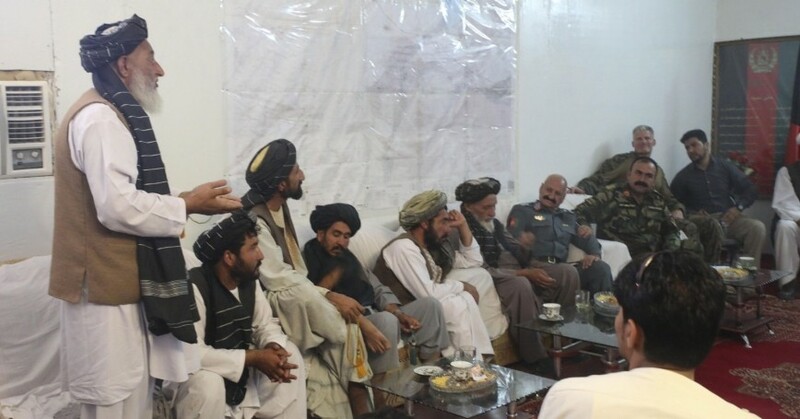 At the same time, perpetuation of the conflict with the Taliban keeps the state persistently fragile. Ending Afghanistan's internal conflict could give the U.S. a surer basis for focusing more on its counter-terrorism interests in the region. The most plausible solution remains the one that was rejected by the Bush Administration and half-heartedly pursued by Obama: reaching a negotiated settlement with the Taliban that gives them a place in the Afghan polity, and engaging the key regional players toward that end. Ending Afghanistan's internal conflict could give the U.S. a surer basis for focusing more narrowly on its counter-terrorism interests in the region. In other words, the President has declined to make a strong diplomatic push for peace. In the alternative, he has embraced a long-term counter-insurgency. For that, nation-building is part of the deal. Laurel Miller, a senior foreign policy expert at the nonprofit, nonpartisan RAND Corporation, was a senior State Department official with responsibility for Afghanistan and Pakistan from 2013 to 2017. This commentary originally appeared on Newsweek on August 29, 2017. Commentary gives RAND researchers a platform to convey insights based on their professional expertise and often on their peer-reviewed research and analysis. Trump's New Afghanistan Strategy: Governing from the Center?